Inn on the Park! 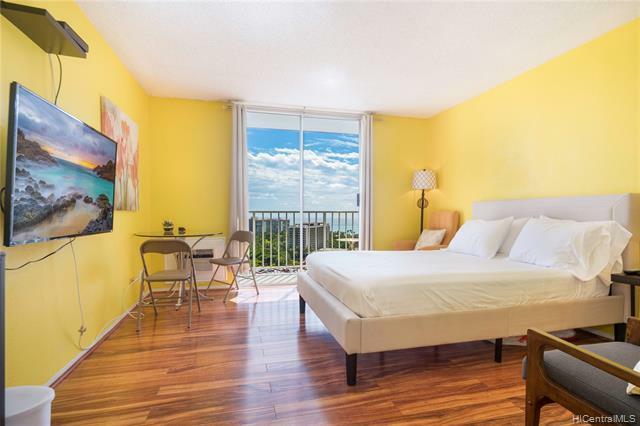 One of the more popular LEASEHOLD investment bldgs and 2nd homes in Hawaii. Leasehold with a low purchase price creates one of the better cash flow generating properties on the island. 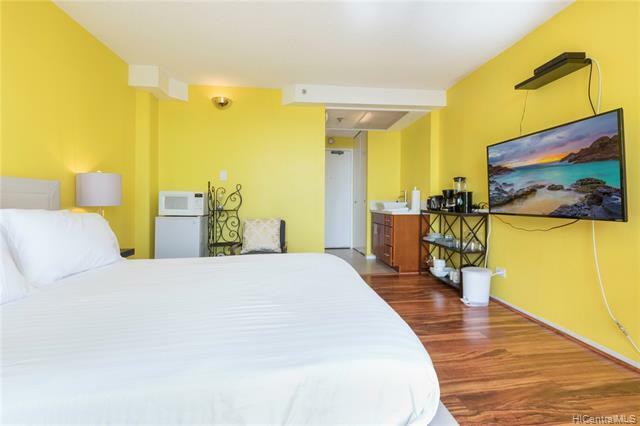 Ocean views, check diamond head views, check, and a building that currently doesn't restrict vacation rentals. Quality features include newer laminate flooring, stone counters, fresh paint, and turnkey for rentals. Largest studio floorplan in the bldg and on the preferred side of the building. 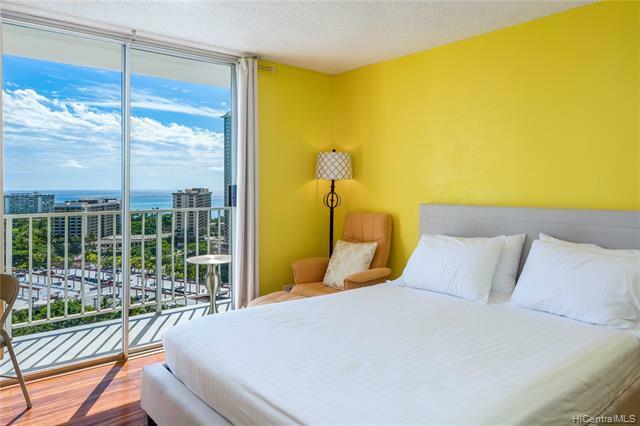 Fabulous location and secured high-rise building with short distances to Ala Moana Shopping Mall, Waikiki Beach, Luxury Row and Friday night fireworks at Hilton Hawaiian Village. 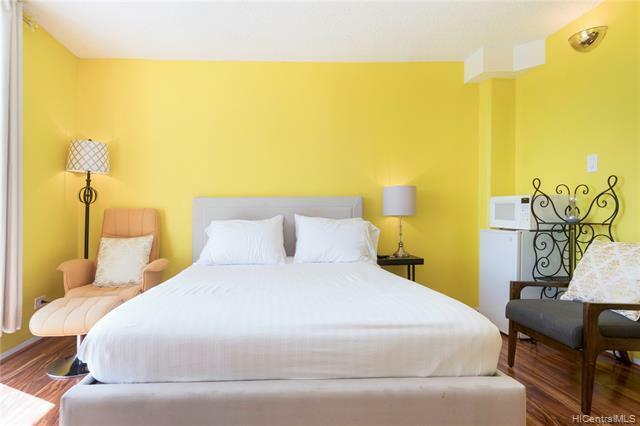 Maintenance fees include all utilities except for internet and telephone landline.